The question here is, does taking an aspirin a day or a baby aspirin a day, which is really just a low dose of aspirin, make sense for preventing cardiovascular disease and blood clots? In particular, Betty’s question was about polycythemia vera and essential thrombocythemia, and we’re going to call that ET. That’s what it goes by in the medical world, and it’s going to save me from saying “essential thrombocythemia” every time! In these conditions, the main concern that happens is blood clot that can lead to an occlusion of the artery and a heart attack or a stroke, and of course, I’m sure many of you out there have been advised by your doctor to take a baby aspirin a day to prevent cardiovascular disease or you know somebody who has, so even as these particular conditions that Betty’s mom is suffering from are fairly rare, the general principle that we’re going to discuss applies to a lot of people. 6:15 Is low-dose aspirin safe? Aspirin in low-risk essential thrombocythemia, not so simple after all? Steve Wright: Hey, everyone. 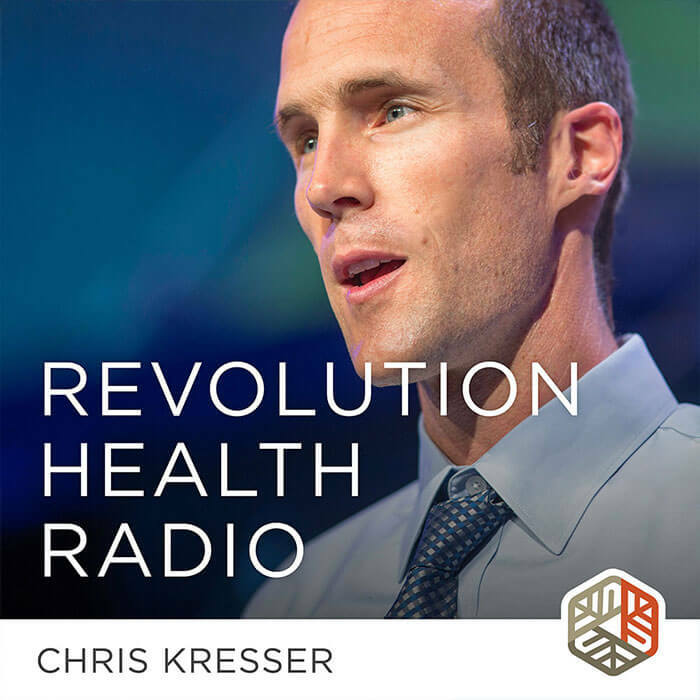 Welcome to another episode of the Revolution Health Radio Show. This show is brought to you by ChrisKresser.com. 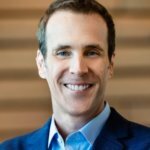 I’m your host, Steve Wright from SCDlifestyle.com, and with me is integrative medical practitioner and New York Times bestseller, Chris Kresser! Chris, good morning! Chris Kresser: Good morning, Steve. How are you? Steve Wright: Drinking my first cup of coffee, man, just getting rolling. It’s going to be a good day. Chris Kresser: Bright and early, yeah. Let’s just dive right in today. We have a great question from Betty. Let’s give it a listen. Question from Betty: Hi, Chris. My mom was diagnosed five years ago with polycythemia vera and essential thrombocythemia, the hardest things to pronounce ever. Although she has a hematologist who’s great who has her on baby aspirin every day, I wanted to know, one, if that’s a treatment that can last a long time or are there any disadvantages or any kind of health issues that result in being on aspirin for that many years, and also what kind of dietary things would you recommend? I have her taking some fermented cod liver oil. She eats really healthy, kind of whole foods. We did, for a period of time, try ketosis, and it went quite well, but then she also tried a kind of raw food diet prior to that, and her blood was good again. I was just wondering. It’s really hard to get a clear message about what the mechanism is and why it’s happened and all that kind of stuff, so I look forward to hearing from you. Steve Wright: Chris, before we let you jump in on this question from Betty, I just want to remind everybody that the way that we’re doing this new podcast format is listener-submitted voice questions. I just want to remind all the listeners of RHR to go to ChrisKresser.com/PodcastQuestion. There you can call in or you can just voice in your question that you’d like Chris and I to chat about. Chris, take it away! Chris Kresser: Yeah, thanks for doing that, Steve. I always forget to mention it. It’s great. I love this new format. We’ve had a lot of great feedback about it, so do make sure to leave us a question. We’ve had some great questions so far, and I’d love to keep them coming. OK, so this may sound like it’s kind of a complex question and doesn’t apply to a lot of people, but really the question here is, does taking an aspirin a day or a baby aspirin a day, which is really just a low dose of aspirin, make sense for preventing cardiovascular disease and blood clots? In particular, Betty’s question was about polycythemia vera and essential thrombocythemia, and we’re going to call that ET. That’s what it goes by in the medical world, and it’s going to save me from saying “essential thrombocythemia” every time! In these conditions, the main concern that happens is blood clot that can lead to an occlusion of the artery and a heart attack or a stroke, and of course, I’m sure many of you out there have been advised by your doctor to take a baby aspirin a day to prevent cardiovascular disease or you know somebody who has, so even as these particular conditions that Betty’s mom is suffering from are fairly rare, the general principle that we’re going to discuss applies to a lot of people. Polycythemia vera, in case you don’t know, is a disorder of the bone marrow that causes too many red blood cells to be produced, and essential thrombocythemia, or ET, is a blood cancer that involves overproduction of one or more blood cell lines. And unlike many other cancers, ET does not typically shorten life expectancy, so people who have it tend to live normal lives, the same lifespan as people who don’t have it. But there is kind of a spectrum of how serious ET is or how significantly people are affected, and so patients need to be supervised in order to prevent or treat complications. As I said, those complications are usually related to increased risk of thromboembolism, which is a formation of a blood clot that breaks loose and then can occlude the artery and cause a heart attack or a stroke. Now, the standard treatment for ET is low-dose aspirin, which is often referred to as baby aspirin, because aspirin has a blood-thinning effect and can reduce the risk of clots for that reason. The typical adult dose of aspirin is around 300 mg, 325 mg. That’s the adult dose. And the baby aspirin dose or the low dose is around 80 mg. Really there are two important questions here, and the first one is more specific as it relates to Betty’s mom, which is, does research support the use of low-dose aspirin continuously over time as a treatment for ET? And then the second question, which is much more general and applies to anyone who’s been told to take low-dose aspirin for cardiovascular prevention is, is low-dose aspirin safe? And I suppose a third question would be, if low-dose aspirin is not safe, what are the natural alternatives that can accomplish the same effect? Steve Wright: Is this foreshadowing here? Chris Kresser: A little bit of foreshadowing. Yeah, exactly. Because if I tell you that low-dose aspirin might not be a good idea and I don’t give you any alternatives, you’re not going to be happy. Fortunately there are plenty, so we’re going to talk about all of those in a moment. Let’s take the aspirin safety question first. Aspirin is quite simply not as safe as many have been led to believe, and if you understand how it works, it’s easier to get why that is. Aspirin can alter the natural structure and function of red blood cells as well as how blood flows through our veins and our arteries. This is called hemodynamics, and these really foundational changes that aspirin causes in hemodynamics and the structure and function of red blood cells explains why aspirin has such a wide range of adverse effects even at relatively low doses like baby aspirin. It’s been associated with increased risk of ulcer, hearing loss and tinnitus, bleeding in the brain, an increase in influenza mortality, so a greater risk of death if you get a serious case of influenza and you’re in a vulnerable population, Reye’s syndrome, Crohn’s disease, increased risk of H. pylori infection probably because of the effect of aspirin on the gastric mucosa, and although taking a lower dose, like 80 mg, of baby aspirin is considered certainly to be safer than the full adult dose of 325 mg, it’s still known to cause GI damage. For example, in a 2009 study in the journal Current Medical Research and Opinion, researchers found that low-dose aspirin caused “significant gastroduodenal damage even at the low doses used for cardiovascular protection.” Another 2009 study found that 80%, 8 in 10 people who used short-term low-dose aspirin experienced small intestinal toxicity, including small bowel mucosal breaks, which can lead to leaky gut, and mucosal inflammation. Steve Wright: Wow. Do you know what “short-term” was in that study? Chris Kresser: I think it was a couple of weeks. I’d have to go back and look again, but I think it was a couple of weeks, and here we’re talking about people who are being advised to take low-dose aspirin for the rest of their lives essentially and sometimes starting as early as 30 or 40 years old in the case of polycythemia vera and ET, which are often diagnosed at that time, so you’re talking potentially about 30 to 40 or even 50 years of taking low-dose aspirin. It used to be within the conventional guidelines that aspirin was recommended for CVD, cardiovascular disease, prevention, but because of some of this research on adverse effects that I just shared with you, new guidelines that I think were published in either 2011 or maybe 2012 by the US Preventive Services Task Force actually don’t recommend aspirin for cardiovascular disease prevention anymore except in really high-risk categories, like men who are aged 45 to 79 years old, so middle-aged men, with pre-existing heart disease or really elevated risk factors, like extremely high cholesterol, smoking, hypertension, etc., although even that is debatable, in my opinion. In summary, it’s pretty clear that low-dose aspirin is not safe. “Safe” would mean there’s a very low risk of adverse effects and that those adverse effects that could occur are not harmful, but clearly that’s not the case, as I just demonstrated. So what about aspirin for treatment of ET? The caveat here is I’m not a hematologist obviously, this isn’t my area of expertise, and please check with your doctor before making any changes, but there was a paper in the journal Leukemia Research in 2010, and the title of this paper was Aspirin in low-risk essential thrombocythemia, not so simple after all? The conclusion of this paper was that the risk/benefit ratio of low-dose aspirin for primary prevention of major cardiovascular events like stroke and heart attack in people with ET who are asymptomatic, which is most people, and who are under 60 years old remains unclear, and it’s even unclear for people who are over 60 years old and are symptomatic. The researchers said, “It should be emphasized that, for the time being, the net benefit of low-dose aspirin is favorable only in high-risk patients who already had major vascular events.” Once again, it’s pretty similar to the US Preventive Services Task Force recommendation where they’re saying that, yes, aspirin may benefit some people, but they’re only the highest risk people and typically people that have already had a major cardiovascular event. And of course, the reason that the researchers emphasize this risk/benefit ratio is the pretty low evidence of benefit, or at least in a pretty small group of people, versus the relatively high risk of bleeding and complications, especially in people with a history of gastrointestinal diseases. So to answer your question, Betty, I think the evidence supporting low-dose aspirin over a long period of time is pretty weak unless your mom fits into one of these categories that I just mentioned, and I’m concerned about the safety of low-dose aspirin over a long period of time. The good news is that there are several evidence-based alternatives to aspirin, and that’s what we’re always interested in here, of course, is treatments and remedies that have a clear scientific basis behind them. We’re not just talking about sort of woo-woo alternative remedies to conventional treatments. We’re talking about stuff that you can actually go into the scientific literature and see peer-reviewed, oftentimes randomized clinical trials supporting. The interesting thing about these alternatives is that if you mention them to doctors, they’ll often look at you as if you’re crazy and you’ve been doing too much researching on the Internet, and they have no idea that these come right out of peer-reviewed journals and are easily accessible on PubMed. It’s an interesting phenomenon. We’ve talked about this before. I don’t necessarily blame individual doctors because it’s a crazy system when you’re seeing patients for 40 hours a week. I mean, that’s just a huge patient load. And then you’re doing another 20 or 30 hours a week of admin paperwork, emails to patients, and stuff like that. That’s a 60-hour week. If you have a family and other obligations, it’s pretty hard to stay current with the scientific literature. When I graduated from school and started practicing, it was really clear to me that I wanted research to be a big part of what I did, that I eventually imagined teaching other clinicians, and that I didn’t want to have that kind of practice. And I was fortunate to be able to set things up in such a way that I have time to research and I make that a priority, and that’s why I only see patients two or three days a week, but the general clinician doesn’t have that luxury, and they’re not often current with the scientific literature, and they’re not able to keep up with studies on all of these alternative remedies that are actually evidence based. It’s a big problem with the way our system is set up, and I just mention this in case you go into your doctor and you tell them about some of these remedies we’re going to discuss. They may raise an eyebrow, but if you’re enterprising yourself, you can just go to PubMed.org and type in some of these terms, and you can actually print out some abstracts from studies on these remedies if you’d like to talk to your doctor about them. Steve Wright: And probably if you can mention again one more time, Chris, what was the council or the guidance body that has reversed their decision regarding baby aspirin use? Probably just at least printing that off and starting the conversation with your doctor with that is probably a good start. Chris Kresser: Yeah, that’s the US Preventive Services Task Force, and also if you search for “low-dose aspirin safety” just in Google, you’ll find a bunch of articles in The Wall Street Journal and The New York Times that were published around 2011 because there was a big study published, I think, in 2010 about the risks of long-term aspirin use, and there was a big controversy about it at that time, and so there were a lot of articles published in the mainstream press that covered this issue pretty well. You can also just print some of those articles out, and they refer to the underlying studies, so there’s plenty of information out there. Of course, one last thing I wanted to point out before we go on: The reason often you hear of the drugs in these situations and not the natural alternatives, in addition to the fact that doctors often don’t have the time to research those natural alternatives, is, of course, that the supplement companies do not have the marketing budgets that Big Pharma has. Big Pharma goes around to doctors’ offices with brochures about the various drugs that they offer, and there’s just constant bombardment and exposure through television and magazines and newspapers, and doctors are exposed to that continuously, and patients are exposed to it continuously, but the supplement manufacturers – and this is not necessarily a bad thing! – They don’t have the marketing muscle to get the word out about these alternatives to the same degree. Let’s start with diet. Of course, it’s always the starting place. Many of these conditions that people would be using aspirin for to reduce risk level are inflammatory and they involve clotting, and so with the diet the goal is an anti-inflammatory diet with all of the nutrients that are likely to create healthy blood flow and reduce coagulation. And of course, the paleo diet or a paleo template, paleo-based diet, is a really good choice from both of those perspectives. It is low in inflammatory foods like seed oils and refined grains and excess sugar. It’s nutrient dense and has a lot of the nutrients that contribute to healthy hemodynamics, blood flow, and reduce coagulation, and it’s just an all-around good starting place. But there are some specific considerations within that context. One is to make sure you’re getting enough of the long-chain omega-3 fats like EPA and DHA. These fats have well-known anticlotting effects and have been shown in some studies to be equivalent in that respect to aspirin, and so you want to make sure you’re eating up to a pound a week of cold-water fatty fish like salmon or mackerel, herring, sardines, anchovies. These are the fish that have the highest levels of EPA and DHA. You can also take fish oil or cod liver oil that contains EPA and DHA either instead of fish consumption if you can’t eat fish for any reason or in addition to it to increase the effect. You’ll be happy to hear that dark chocolate consumption results in antiplatelet effects, so it has an anticlotting effect. The more we learn about dark chocolate, the more incredible, really, its health benefits are. Steve Wright: Don’t you have to stay really consistent with it, too?! Chris Kresser: Yeah, you have to eat it three times a day, every day! No. If you tolerate chocolate, there’s really little reason not to eat it every day or every other day if you are able to moderate your intake of it. We’re not talking about having a bar of chocolate every day, but a small serving every day would certainly be fine if you tolerate it. In addition to chocolate and EPA and DHA, another consideration from a dietary perspective is just some common spices and herbs in foods that are known to inhibit thrombosis without prolonging bleeding time. And that’s the problem with aspirin, of course; it does inhibit clot formation, but it increases the risk of bleeding. These foods are garlic. Like chocolate, garlic is another food that has amazing therapeutic properties, so many different ones. Turmeric is another; thyme and rosemary, very common spices often used in cooking; and tarragon. All of these are easily available, cheap spices and foods you can emphasize in your cooking so that you’re getting an additional benefit there. Resveratrol, which is in red wine, has been shown to have antithrombotic effects. And just a note: I know a lot of people are taking resveratrol supplements. The research on resveratrol as a supplement is a lot weaker than resveratrol in food, and there are actually even some concerns about long-term resveratrol use as a supplement. I recently posted an article written by Moises Velasquez-Manoff who we had as a guest on the show to talk about the hygiene hypothesis or old friends hypothesis a while back. He recently wrote an article that was summarizing research that demonstrated that taking antioxidant supplements does not have the same benefit as eating antioxidants in fruits and vegetables and other foods. The resveratrol thing is just one example, but there are many other examples. In terms of supplements, nutrients that you can take that will increase the effectiveness of this natural approach, one of the main ones is called Pycnogenol, which is also referred to as pine bark extract, French maritime pine bark extract, at a dose of about 100 mg a day. It’s been shown to reduce platelet aggregation as effectively as aspirin without increasing the risk of bleeding, and it actually even has a prolonged action time, so it works over a longer period of time than aspirin does. You don’t have to take as much or take it as frequently. It’s an extract of pine bark, and it’s pretty readily available. I don’t know if you can find it at Whole Foods or local stores, but you can certainly find it online. It has some other interesting properties, too. It’s actually one of the things I tend to use in my practice for patients with histamine intolerance or mast cell activation syndrome, and it can be really useful for that. So if you’re dealing with an inflammatory condition and histamine intolerance, you can kill two birds with one stone. Steve Wright: You use that at the same 100 mg dosage? Chris Kresser: Yeah, you have to modulate it a little bit with histamine intolerance. It depends on the extent of the condition and other factors, but that’s a good starting place. The other one is a mixture of long-chain alcohols that’s extracted from plant wax and that’s policosanol. The dose would be 20 mg per day, and studies have shown that that’s as effective as 100 mg of aspirin as a platelet aggregation inhibitor in terms of reducing the risk of thromboembolism. This was from a randomized clinical trial, and there are a few trials supporting policosanol for this use. Steve Wright: Are you suggesting to stack these, or are you suggesting one or the other, supplement wise? Chris Kresser: I would do all of the diet suggestions that I mentioned, so a paleo-based diet, dark chocolate, herbs, spices, foods, increasing omega-3 intake to a pound of fish a week, or maybe if you’re eating less than that, to do a combination of fish plus cod liver oil or fish oil. And then I would probably start by trying either pine bark extract or policosanol and then get tested again and see how your blood is, and if that’s not doing the trick, you could add the additional one. But there are a couple other things I want to mention, too, before we finish, which is that exercise is very important for maintaining healthy hemodynamics, blood flow, and reducing the risk of clots. And stress management may play a role as well. There was an interesting 1984 study that I saw when I was looking into this that showed that yoga had a significant effect on reducing blood coagulation. I think it’s reasonable to assume that because even just pine bark extract alone and policosanol alone have been shown to be as effective as 100 mg of aspirin, and EPA and DHA have shown to be that effective as well at the right dose, if you combine all of these diet changes that we’re talking about, the spices, herbs and foods, dark chocolate, the EPA and DHA, either the pine bark extract or the policosanol or both plus exercise and stress management, I think you’ll get a much better effect than low-dose aspirin with none of the long-term risk. That’s a win-win, and I don’t really see any downside to taking that approach, especially if you test the results and you can see in black and white that you’re achieving the same impact. Steve Wright: Yeah, I thank you, Chris, because I’m definitely going to send this interview to several people I know, but I think this is a powerful show because it seems like dogma dies really, really hard. Steve Wright: I know that the baby aspirin, which is now dogma, we’ve seen it here on the show today regarding the research you’ve quoted as well as the alternatives to the research which don’t have the long-term effects on the gut and elsewhere in the body, so thank you. Chris Kresser: Yeah, you’re welcome. What you said is so true. It’s interesting that even when the conventional medical establishment changes its mind about something, like the US Preventive Services Task Force issues an update, it can take years for that to trickle down. It takes years to establish the dogma in the first place, and then it can take years to unwind it. We’ve seen that with saturated fat and cholesterol, we see it in so many different areas, and I think even though the guidelines were changed a couple years ago, a lot of people out there and a lot of doctors out there are still operating with the idea that prescribing low-dose aspirin or taking low-dose aspirin over a long period of time even if they’re essentially healthy and aren’t at high risk for heart disease is a good idea. Hopefully we can get the word out, and if you know people who are taking low-dose aspirin and haven’t had a heart attack and are not in the really high-risk category – and even if they are – send this to them. Give them some options, and at least this can create a springboard for discussion with their doctor. Thanks for listening, everyone. Once again, leave us your questions at ChrisKresser.com/PodcastQuestion, and I look forward to talking to you next week. Steve Wright: Yeah, let us know in the comments what you thought about this show and if there are any updates you’d like us to do to the new format. Also in between shows while Chris is researching the topics, he’s always posting research on his social media outlets, so you can go to Facebook.com/ChrisKresserLAc and Twitter.com/ChrisKresser and get lots of nuggets and updates and things that Chris is reading. Don’t want you to miss out there. Talk to you on the next show. I really wish RHR would address the safety of aspirin alternatives and pregnancy. It seems irresponsible to scare everyone and then not address concerns. We are left with no options but to ignore our doctors or ignore insufficient (though valid) health research. I’ve had one DVT and two minor thromboses. Have been on Ecotrin (81mg) for years. Will take myself off it now and use your suggestions, Chris, with one exception. I’ve been a vegetarian for over 40 years because I love animals and can’t bring myself to eat them. Will your remaining recommendations still prevent clotting? Thank you for all your help! I am 59 years, had a pulmonary embolism back in Dec. of 2014. I was taking Xeralto daily but changed to taking two 325mg. aspirin a day. I don’t seem to be suffering from any side effects. And can I share a totally unrelated thought with all of you-it may change your life forever: SCHOLLY, a $3 app, 20,000+ scholarships available, mostly just money. I was in Salt Lake City, UT for a major operation sitting on a low wall on South Temple Street on Temple Square and a Mom tells me that her husband had already graduated from college, had a job that he hated but couldn’t leave because of the mountain of student loans he had to pay down! I told her about SCHOLLY, told her to tell her husband; find the money to go back to college and also the money to support his family; keep the rotten job paying his tithing and fast offering off the top and use the rest of the money to pay down his student loans! Enjoy! No one has mentioned a 1.5 mg dose of Arginine a day in place of the baby aspirin – is this a good thing or not?? are like a bucket, you can eat those foods, just not everyday, especially the high ones. You must peel them. 50 to 43. I am still dizzy a lot, fatigued, and hoping I just have to get phelbotomies in the future, and monitor my blood. I feel if this was real bad, I would have had a lot more issues. I did have bloodless hemerrhoids banded, and have had very bad rectal spasms since…one year ago. After blood draw things are better…I think I was not getting proper circulating blood to this area. I do have periferal neuropathy in both feet. Diabetes was completely ruled out with A1c ? test. So I am on a new journey which explains a lot of things. Just hoping I only will need blood draws, my mom had this an I think that was all she needed…she ate and drank terrible, no water. Slow motility and constipation…take MagO7 for that, elemental magnesium that does not enter my blood stream. So this I think will be livable, and maybe make me feel better???? Thanks for the rant…why don’t doctors check for this, nine years of blood tests to prove it! Just horrible. I have lupus and hypothyroid. I’m keen to get pregnant. But my anticardiolipin antiphospholipid antibodies is quite high. I might need take aspirin injection throughout pregnancy. And natural food can be alternative to aspirin, and safe for pregnancy. Currently I’m on turmeric supplement, but i need to stop it once i’m pregnant. Thanks in advance. Are there any adverse effects to stopping 81mg daily asprin after 13 years ? I am 67 years old and had 2 Coronary atery bypass surgeries in the last 13 years. I recently have developed symptoms of Acid Reflux. Is your acid reflux related to H.Pylori in the stomach? This which is one of the adverse symptoms of taking Aspirin. Hi Chris I’m John and I have polycythemia Vera I found your podcast interesting . I take 2 x100 mg low dose aspirin every morning under my haematologist . I am however concerned about the leaky gut , ulcers and bleeding etc I would like to be able to try the healthier alternatives although I think my haematologist may disagree. I wonder is the pine bark easy to get hold of here in Australia or not ? Hello there! I was most interested in hearing what you were saying re low dose Aspirin! My husband had a massive heart attack last November. He had open hear surgery, quadruple bypass etc. the fact that he is still alive, is my greatest Christmas present! As you well know about the practise of Drs, he was put on 100mg of low dose Aspirin . . .for the rest of his life! We are very unhappy about it. I sent out an Easter greeting to all my friends, and I told them about my concerns re Aspirin! I immediately received this eye opening e.mail re alternatives! My husband and I feel a huge sense of relief in knowing there ARE alternatives! I can’t discuss these things with our Dr! I DID try to have a conversation about the dangers of Aspirin, and got told ‘don’t listen to Dr Google’.! I wish to THANK you for showing me that there IS life withOUT the Aspirin Drs swear by. We both also nearly died with Lipitor meds! We seem to be severely allergic to sterol! We threw out all our meds! But now the Dr has put my husband on 10mg EZETROL. The cholesterol count is 5.7, but the Dr said it is not low enough! He wants to increase my husband’s dose in irder to bring his cholesterol down to 1,9. This too is worrying us! What can we do about it? Can you advise a please? We live on the eastern seaboard of Queensland, Australia, in a small country town, with not much access to alternative meds, but we have a lady with a Health Snop who will get things for us when necessary. Hopefully, you have found some relief by now for dealing with your husband’s high cholesterol without taking statin drugs. If not, I recommend you look into this book: “The Cholesterol Myth” available on Amazon for reliable alternative ways to view and deal with high cholesterol. One of the manifest and most severe adverse effects of statin drugs is muscular pain, especially in the legs during the night. I have much personal knowledge about this. As advised by the book’s authors, if your husband is compelled to take a statin drug, ensure he is also taking COQ 10, as the drug shuts down the body’s production of this coenzyme, causing serious side effects. Hello. I also need to take baby aspirin every day, but after reading this, i went to buy the suggested Pycnogenol, as I started having gastritis from it, but my doctor said it has not been proven that it can replace Aspirin. What to do? I am already taking aspirin and statins for high cholosterol(TC: 291, LDL: 191. HDL: 58). Can I take Pycnogenol along with aspirin? As both aspirin and pycnogenol has blood thinning properties, I seriously want to know the answer. red yeast rice 2500 mg a day got my cholestrol leveled off in 3 months. marvelous. Hi, It does not seem like Chris is answering anyone’s questions but if someone could help me that would be great! I am homozygous C677T (MTHFR) and I have been told I need to take baby Aspirin during pregnancy to prevent miscarriage. Would any of these alternatives be safe during pregnancy and have the same effect? And at which dose to take them? I have heard of Nattokinase but I am known to have high estrogen levels and am afraid if I take this that would make it worse. Thanks! Or maybe: the more money involved in the chocolate industry, the more studies they can afford to perform, like the pharmaceutical industry. They can afford to perform hundreds of studies and only publish the ones that show desirable effect. The more money involved, the more promotion and the more corrupt the science. And yes, the chocolate industry is expected to continue to grow substantially in the future and is today of course vastly bigger than just 5 years ago. Perhaps this is why we never hear in the mainstream media running promoted stories about chocolate, that just 100 grams of 70% chocolate provides 122% of the recommended max intake of saturated fats. According to wikipedia 100 grams of cocoa powder can have anywhere from 2-10% of theobromine. Theobromine poisoning can occur on as little as 1.7 gm theobromine (20-100 gm cocoa powder), for a 150 pound individual. The toxicity seems to be 2-5 times higher for dogs and cats. But what if cocoa was a new substance just discovered for potential use as a drug? Would it be approved for use in humans after trials in dogs and cats? Chocolate has now found its way into all sorts of products due to the public beliving it is «healthy» and it would be very costly for all these companies if it turned out that the reality was that chocolate is unhealthy. Money can also be involved in the trading and investing. One got the illusion of the scarcity of oil in mid 2008 when the prices was at $150 and many said it would go much higher. Today it is below $50 and many say it will go lower. In general: when an easily tradeable product like cocoa is at its all time high and rising: there will be more hype about it. If it has been decling for some time, it will be less so. Back in August when this podcast was made, Cocoa was trading at 3300 and at a peak, and had been going straight up from the 2200 level in May 2013. Today it is at around 3000. Conversely, there´s little money to be made on aspirin anymore. I´m sure the drug companies would be happy if studies showed ill effect of aspirin (they may even fund such studies). People would then instead buy their expensive alternatives. Of course there´s no big garlic, turmeric, thyme industry, and they are more natural, better for stomach and liver etc than the aspirin. The fish oil industry has however gotten enormously big the past years. In this industry there´s a lot of oil rich waste products, for example skin and organs of the fish. Wouldn´t it be nice from an ecomomical sense to convince the public to buy this (rancid) oil in the form of pills? Before evaluating ANY supplement, food or product allways do thorough research about its economics. Even if economics plays a big role doesn´t necessarily mean the product is not healthy, but one should approach it with caution. I kind of have a problem with chocolate being considered a health food. It’s mixed with sugar and fat which is not a good combination. Cacao beans are produced in third counties and can have a problem with pesticides. There is a lot of refining done to produce cocoa powder. Dark Chocolate is dark because it has less fillers and sugar. Usually the easier it melts the better chance of higher quality chocolate. Dark chocolate in higher % like 85-90% are not pleasing to taste unless you like bitter flavors. So if your worried about purity of chocolate go high % and add alternative sweetener like honey or coconut oil to make more palatable. Highly recommend this product to anyone looking for a turmeric-based anti-inflammatory. Synchro Gold is the only full-spectrum liposomal turmeric product I’ve found anywhere. It doesn’t seem like anyones questions are being answered, but I will still ask in hopes that they will….I am homozygous C677T and plan to get pregnant soon but my OBGYN says I will need to take a baby Aspirin everyday while pregnant in order to prevent clotting and a miscarriage. This concerns me because I am a very natural/holistic person and do not take drugs. I feel like Aspirin may have long term affects on the baby. Is there a safer alternative for this? Are any of these supplements you mentioned safe during pregnancy? And do a search for the usage of aspirin with Vitamin K, to help prevent the excess blood thinning issues. I feel like Kresser has not addressed this issue properly. I am 50 years old, and have occasional Atrial Fibrillation. My doctor recommended low dose aspirin to prevent stroke. I prefer not to do that, and am not on any medications on a regular basis. I am glad I found Chris’s radio show to learn about alternatives. I eat healthy and exercise, and plan to add Pine Bark extract to my daily regime! Hi Chris, Dr . Sinatra mentiones on his website ( http://www.heartmdinstitute.com/health-topics/alternative-medicine/grounding-earthing/72-grounding-part ) that Earthing/Grounding can significantly improve blood viscosity. Do you have an opinion? I was surprised that nattokinase was not covered in the list of substances alternatives for clotting problems. My clinician prescribed it after checking clotting times, subsequent to a possible TIA. I take Allergy Research Groups, Nattokinase 100 mg, once a day in the morning before food. I have had good results in that my clotting time is now in the normal range and I have had no further episodes. Are you in the process of doing research on it at this time? I can’t imagine how busy you must be responding to so many requests for information but I would be very interested in any feedback you can offer regarding the value and long term use of this substance. I suffered from preeclampsia which resulted in the premature birth of my son last October. My doctors advised a baby aspirin every day during my next pregnancy. Earlier this year, the U.S. Preventive Services Task Force made a recommendation that women at high risk for preeclampsia take one baby aspririn per day starting in the second trimester (http://annals.org/article.aspx?articleid=1859300). What my son and I went through was awful and involved a lot of drugs and procedures far more harmful than baby aspirin. However, I was really hoping to find a natural alternative. Thank you so much for sharing this information. Can you provide any additional thoughts on these natural methods as they relate to risk for preeclampsia? What about nattokinase supplement. Its extracted from natto. I believe it is a natural anti blood clotter. Anyone know more about it? Does the garlic have to be raw? Ooo good question about raw garlic! Yes, and if so, do I need to let it sit for 15min after crushing/bruising? Also – what’s wrong with seed oils now??? Flax seed, sesame seeds & pine seeds are so good for so many other things!! Aaa! yes, of course. you can put slivers of it in your sock. your whole body will absorb it. the best is chop and let it sit in a little warm water. drink as often as you can. I read the other day about aspirin in my newspaper and the article says that Aspirin is good for the body. What to choose ,with or without Aspirin??? Hi Stomach wise I could not get on with Nattokinase but have found Fruitflow to be very good. There seems to be solid research behind Fruitflow. It is derived from the gel surrounding tomato seeds. I am surprised you did not cover it in your article. Thank you so much Chris for covering this topic. I have ET, take hydroxyurea because my platelet count was getting up in the dangerous zone, at least for an old person like me. It is a scary drug but so far I don’t seem to have any of the multitude of possible side effects. I have been taking a low dose aspirin every other day for a few years, doctors orders, and have looked for alternatives to the aspirin but was not finding definitive information. I was delightfully surprised to find this post today. I do have tinnitus and husband says I am loosing my hearing. Could be age related or wax in ears or maybe it is the aspirin. If I eat a LOT of chocolate, my tinnitus gets worse. Lucky me, I have a large stash of garlic that I recently harvested from my garden, a big pot of tarragon that is presently growing, loads of growing thyme and some rosemary. I have been on a primal diet for the last 5 or 6 years so that is taken care of but I need to up my fish intake. Good salmon is expensive so I don’t get it often. I am willing to eat the canned stuff so I will concentrate on adding that to my lunches. All and all, I am not a fan of the fish so haven’t yet tried the others you suggest. Chocolate I can do. I usually make up my own concoction out of cacao powder, coconut oil, nutbutter and a little maple syrup and cinnamon or orange zest. However, I have no idea if this would be considered dark chocolate. It is not very sweet so maybe. I do take fermented cod live oil when I remember. I will look into the supplements you recommend and talk to my doctor as well. Thanks again for all you do and for this post in particular. thanks for your post. sounds like you have had to take this thing serious. Curious about any Polycythemia info? But would like to hear of others who have Polycythemia? I had trouble with nosebleeding after taking a daily dose of baby aspirin for years. I quit the dose of aspirin and the nosebleed problem went away. Chris, is it safe to stop taking the statin cholesterol lowering medications without taking an aspirin or doing other modifications? What if the person is still unable to change their diet right away and is still eating seed oils or other damaging toxins out of habit, will they be at risk without the statin? Yes. I was also curious, Chris on what your stance is on proteolytic enzymes as a blood thinner. I have used Biotics Research’s intenzyme forte with great results for anything from stubborn cases of Gout, recovery from surgeries, injuries or sports, reducing the risk of blood clots & fibrinogen, and most other systemic inflammatory conditions (in conjunction with diet & lifestyle modification, as well as monitoring biomarkers with lab testing). Any thoughts would be greatly appreciated. Chris, have the antiplatelet effects of policosanol been established apart from the Cuban group that was putting out all the research on policosanol and cholesterol? The research put out by the Cubans on policosanol was super impressive and seemingly gold standard stuff, but ended up being non-reproducible by other independent research groups (also, a small informal trial run in my own practice failed to show any effect whatsoever on lipid profiles). If it’s only the Cubans saying that policosanol has antiplatelet actions, I’m not sure I would trust it. What do you know about this? Your arguments are convincing regarding blood thinning, but I don’t think any discussion of aspirin is complete without a discussion of cancer prevention. A daily baby aspirin is part of my cancer prevention protocol, in addition to a lot of other things (primarily NRF2 activators). These are all anti-inflammatories, as well as pain relievers (for me) and blood thinners. As for the disease making you over-produce red blood cells, it sounds to me like the afflicted person would make the PERFECT blood donor–much like people who cannot tolerate heme iron, and have to donate to keep it from building up in their systems. Whether to take low dose aspirin has been a struggle for me. I am 71. I have a history of heart attacks and had what seems to have been a TIA last year. My family has a history of bowel and other cancers. No history of pancreatic cancer but it scares me to death. Stroke also terrifies me. We have a family history of that too. So I am taking low dose aspirin and plan to go on doing so, although I also follow the suggestions in this article. Is it chance that your discussion above has come out on the same day as the report from Queen Mary College and the Annals of Oncology has been reported here in the UK press? I’m very glad to have read your argument because most of it makes much more sense than what I’ve read here!